AACE was thrilled to welcome West Worcestershire MP and Minister for Defence Procurement, Harriett Baldwin, to formally open our new office at the Malvern Hills Science Park with a ribbon cutting ceremony on Friday 27th October. After presenting Harriett with an overview of AACE’s expertise as specialists in delivering airworthiness, system safety engineering, logistics and operational support to both the public and private sectors, with offices in Bristol and Oxford, the AACE Malvern team briefed her on the technical publications capabilities that they deliver. 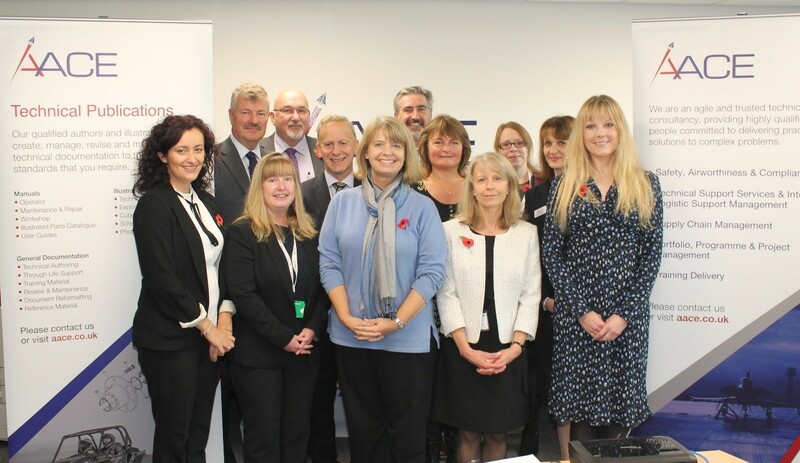 AACE Owner and Director Gaynor Hussey said: “It was a great pleasure to host Harriett Baldwin MP at our office opening ceremony in the Malvern Hills Science Park. The team were delighted to brief her on our technical publications capabilities that are delivered from our Malvern office and the qualified authors and illustrators showed her how they create and maintain technical documentation to our customers’ exacting standards.